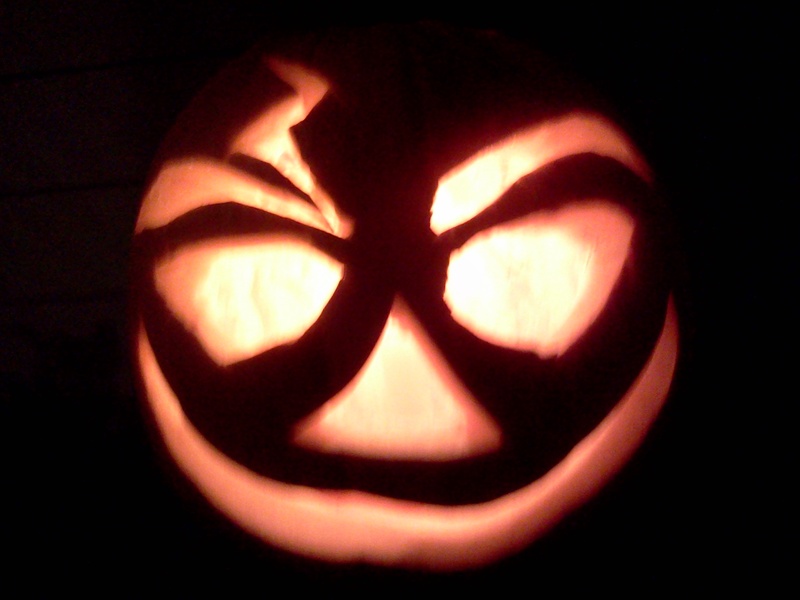 Here is my Jack O Lantern. I carve one every Halloween in honor of my father, a devoted pumpkin artist, who has been gone for thirteen years. One of my favorite childhood memories is going with my father to pick the Halloween Pumpkin . I would rush home after school and wait for him to get home from work, then we would go to Matthews Market and pick the biggest one we could find. One year our pumpkin weighed 40 pounds. We would scoop out the insides, my mother would roast the seeds in butter and salt and he would carve the face on the Jack O Lantern with my input. My father had a bit of a peculiar sense of humor and always insisted on frowning pumpkins with ears that stuck out. He continued to carve pumpkins every Halloween until I was past forty years old. 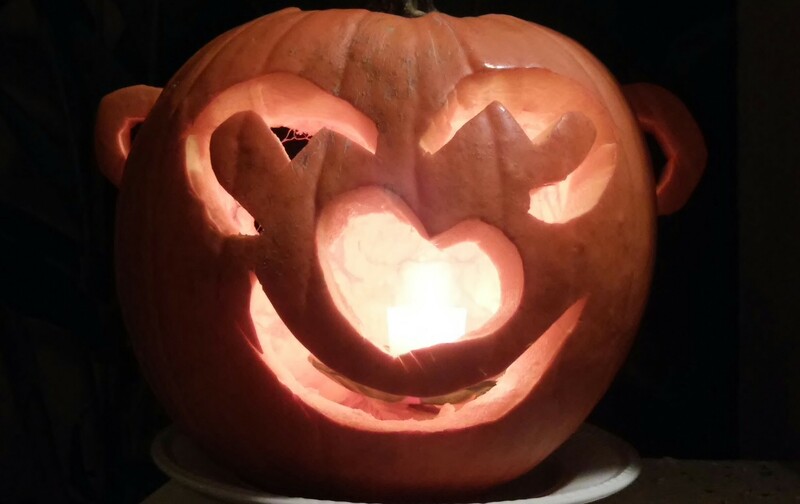 I have kept up the tradition, but my pumpkins usually turn out looking sort like a demented Polynesian version The one this year is happy because he is in Florida for the winter – but he still has some ears that stick out. This entry was posted in Treasure Coast Living. Love it! I have given up on carving as the pumpkins rot so quickly here. Usually, I had to shovel it off of the porch. Thanks, it is nearly instant compost here.